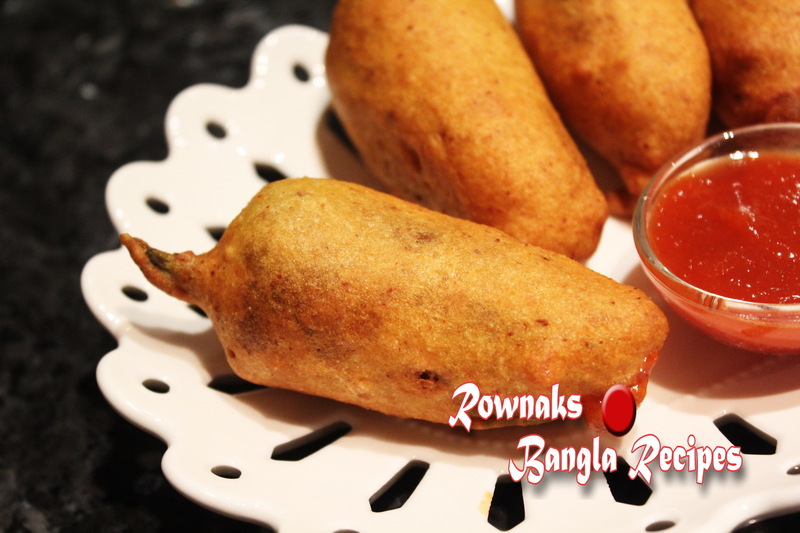 Stuffed Chilli Fritter / পুরভরা মরিচের পাকোড়া is a simple recipe with unique taste. Depend on chilli and stuffing its taste can be very different. 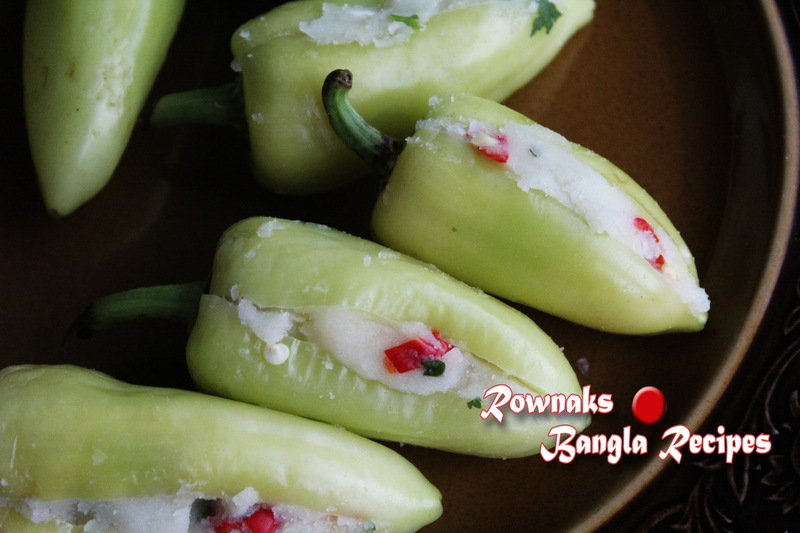 I have used here yellow chili pepper, however it can be made with jalapeno and other chillies. For stuffing I am using potato here, but cheese and minced meat are great option too. 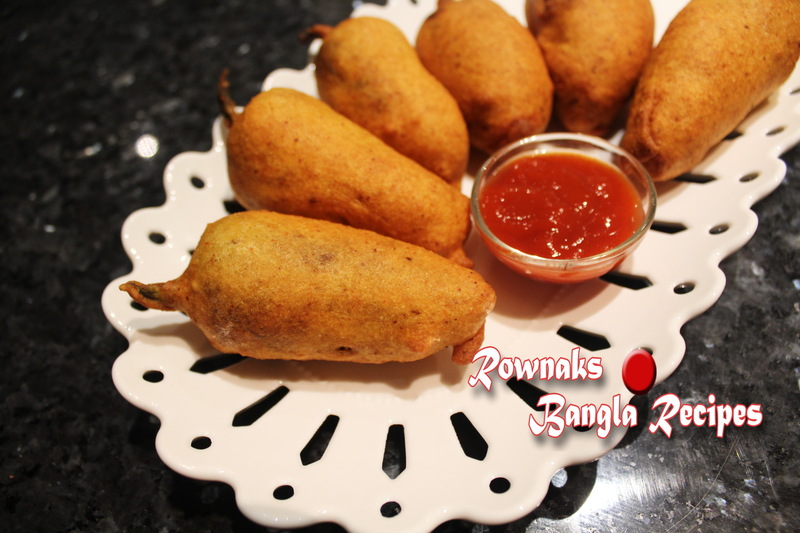 So enjoy my simple Stuffed Chilli Fritter / পুরভরা মরিচের পাকোড়া . Mix all the stuffing ingredients together and set aside. Mix all ingredients together to make thick smooth batter. Vertically slit the chilli and stuff the chilies with potato mix. Heat oil for deep fry over medium heat. Dip the stuffed chilies in the and when oil is ready, place batter coated chilli slowly into the frying pan. Don’t overcrowd the pan. Fry Stuffed Chilli fritter until it becomes golden brown, turning occasionally. Remove Take them out and place them on a paper towel. Serve Stuffed Chilli fritter hot sprinkling black salt with your favourite sauce .